Nearly all women will use contraceptives at some point in their lives. Contraceptives can help women better manage their reproductive health, but as with all medications, they can carry risks. According to a recently published study in the “Journal of Periodontology,” women who use certain forms of contraceptives may be more likely to suffer periodontal disease. 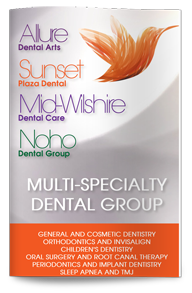 Our dentist in West Hollywood encourages women to discuss their medications and health needs so that we can provide the most personalized dental care possible. According to the study, women who are using a DMPA injectable contraceptive commonly known as Depo Provera are more likely to have gingivitis and periodontitis than women who use other forms of birth control. Periodontitis is the most serious form of gum disease and causes inflammation, periodontal pockets, gum recession and tooth loss. 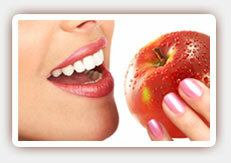 Gum disease has also been linked to cardiovascular disease, respiratory infections and diabetes. Women in the study ranged from 15 to 44, were non-menopausal and not pregnant. They described their history of DMPA usage and had dental exams that noted evidence of periodontal disease. The study adjusted for smoking status, age, race and other socioeconomic factors that could increase the risk and determined that women who had used DMPA at any time in their lives were more likely to have gingivitis or periodontitis. If you are using long-term injectable contraceptives, you may be able to minimize your risk of periodontal disease by brushing after meals, flossing daily and visiting our West Hollywood periodontist at least every six months for an exam and cleaning. Any symptoms of gum disease, including red, puffy or bleeding gums, should be immediately evaluated. Give us a call today to schedule your appointment.